I moved away from Oregon in 2014, and after a crazy year in southern California, I wound up, thankfully, back in the state that has always felt like home to me – Montana. When I lived in Oregon, steelhead fishing was a huge part of my life, a true passion, and something that I dedicated countless hours and days to. From mid-July through late-November, it was nearly all-consuming. I called it the “summer run”, after the steelhead we fished for, and because of my own manic devotion to the pursuit. Even in winter we searched for steelhead with our flies. Twelve months a year. Towards the end of my time in Oregon, though, I found my passion waning as my friends and I watched steelhead numbers around our region declining more and more every year. 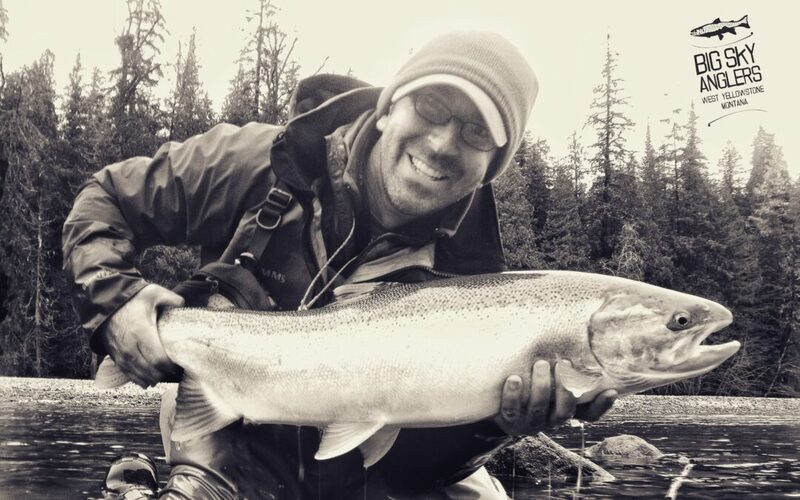 When I moved away from Oregon, I left behind a lot of that passion for steelhead fishing. Since then, my beloved summer run rivers have seen even poorer returns. Other things have occupied my life, including a new son and a rejuvenated interest in trout fishing, which I am surrounded by close to home. The poor returns of steelhead haven’t been enough to motivate me to make the long drive or flight west from MT to steelhead country. My last steelhead fishing trip was in October 2016. I got skunked for 4 days, alongside some of the most experienced steelheaders I’ve ever known. I caught my last few steelhead in October 2015, on a roadtrip over to Idaho and Washington, nearly four years ago. Recently, I tied a huge batch of steelhead flies for Joe Moore and his crew of anglers who are travelling to British Columbia this April. The flies I’ve been tying for them are some the same ones that I used to fish with confidence across the Pacific Northwest when I was so engrossed in the pursuit. As the dozens stacked up on my tying bench, and the marabou stains on my fingers grew more pronounced, my mind wandered back to the old days. So many good memories came back, not just of great steelhead hooked and landed or lost, but of time with great friends in fishing camps, freezing or burning up, dehydrated, tired, delirious, but also happy. I dug through some old photos. Most of all, I thought about what it feels like to swing one of those big flies through a run, the tension of the line just right, the sink tip curving down and away in that perfect “slow J” shape, and the sudden, expected-yet-unexpected, heavy pull of a fish that has filled your thoughts and dreams for so long. The pull that I haven’t felt in so long. The pull of a fish, but also the pull of the river, and of the camaraderie and friendships among steelheaders. A few dozen flies into the batch, I felt that pull again. And it felt pretty good. PS – This essay first appeared on the frontpage at Sexyloops.com where I’m a regular contributor. Stillwater fishing is just one part of fly fishing that truly fascinates me, and every year I seem to devote more and more of my water time to the lakes, ponds, and reservoirs. And, like most things that I become interested in, I collect literature on the subject. I love to read and study different theories and approaches to things like fly fishing. By reading well written works by other experienced anglers, I feel that I am able to gain experiences that I might not otherwise have the opportunity to have myself. I guess the hope is that one day, should I be confronted with a unique situation in my own angling, that I might be able to recall an obscure passage in an angling text and apply it with glorious, fishy results. But I also think that I enjoy just reading different perspectives, opinions, and approaches to similar situations, and trying to sort out the biases, while throwing it all into my own melting pot for forming my own (admittedly biased) perspectives, opinions, and approaches. For a long time, “literature” essentially meant books, magazine articles, and maybe some VHS tapes. Now, as more and more information becomes available through electronic means, it also includes things like DVDs, blog posts, podcasts, e-books, You-tube channels, and now, smartphone apps. I’m able to find new material to study everywhere I turn, making the long Montana winter a bit easier to pass. I’m a little old school, and I still like books the best, but it is difficult to argue with the power of a well-organized and presented video as a teaching an learning tool. Not long ago I came across Phil Rowley and Brian Chan’s Stillwater Fly Fishing App. As I understand it, this App is the first of its kind in many ways. What makes this information source fairly unique is that it is video based, but organized similar to a cookbook of recipes or fishing tidbits that are hopefully easy to find at a moment’s notice. 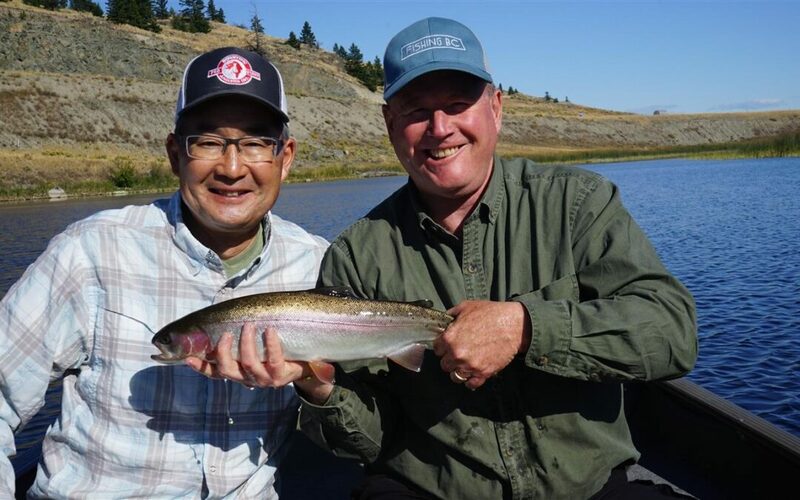 “Phil and Brian have combined their 75 years of experience fly fishing for trout and char in lakes to develop this valuable educational tool. This App will become an essential tool in the toolbox for anglers of all skill levels. The app is broken down into chapters covering such topics as entomology, leaders and knots, techniques and tactics, equipment and favourite stillwater flies. Each topic is presented in video format that can be easily downloaded and saved to your mobile device. I personally have found the Stillwater Fly Fishing App to be a welcome addition to my collection of stillwater angling “literature”. I’ve learned plenty of new things, particularly about entomology and rigging for stillwaters. I’ll go into the 2019 open water season with plenty of new ideas to try out. But what makes the App better, or at least different than a book written by Phil or Brian? The App format allows for continuous additions, updates, and modifications as the authors develop and test new theories and methods. In theory, this can reduce the built in obsolescence found in some printed media. When I downloaded and subscribed to the App in early October 2018, I think there were about 105 +/- videos available among these 5 chapters. Now, just before the start of the New Year, there are 126 videos. At this point, I’ve probably watched 90% of them. Of course, I watched the Entomology and Tactics videos first! I’ve been messing around with the App enough that I feel like I can offer up a list of what I’d call PROs and CONs, for lack of a better terminology. Remember, you can download the App for free and check out all the free content, along with listings of all the content that comes with a paid subscription. So, what have you got to lose? Content, Content, Content! I feel very confident saying that, regardless of your experience level with stillwater fly fishing, you will learn some really interesting new things from the App. There are some videos about really clever and sneaky stuff on there!!! For the newcomer to stillwater fly fishing, dive into videos like “Essential Tackle”, “Choosing a Fly Rod”, “Choosing Leech Patterns”, “Retrieve Essentials”, and “Simple Chironomid Techniques” (all available free without subscription). The basics are all there for you to build on. Get yourself an intermediate sinking line to go with the floating line you already have, and go strip some leeches or hang some chironomids! 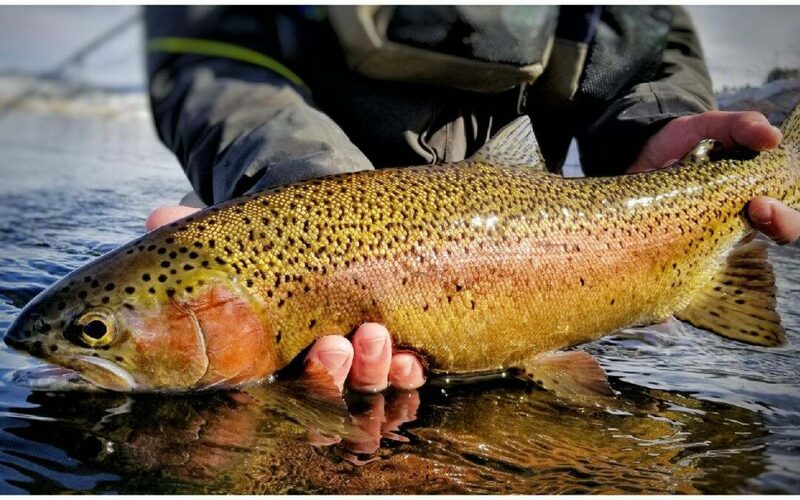 If you end up hooked on stillwater fly fishing like me, you’ll find that every outing will generate more questions in your mind. When that feeding binge happens that you can’t seem to figure out, you can dive deeper into the App and watch videos like entomology presentations on “Zooplankton”, “Dragonflies (Crawlers)”, “Dragonflies (Darners)”, or “Scuds”. When you are ready to experiment with new ways to move your fly, check out clips like “Strip Retrieve”, “Hand Twist Retrieve”, “Pinch Strip Retrieve”, “Rolly Polly Retrieve”, and “Indicator Retrieves”. When you finally buy that new boat, check out the two videos on boat setup with stillwater angling in mind. Fishing tricks. I mean simple tricks that solve annoying everyday problems in the fishing life that you wish you’d thought of yourself. Phil and Brian offer up more than a few of these that they have figured out over their years of fishing. Some are explicit, with their own videos, and others are nested within other topics. It pays to watch with an open mind. Using electrical tape to fix a worn out slip float, and incorporating barrel swivels into rigging are two of my favorites. Fly Tying Tutorials. Step-by-step video instruction for piles of proven stillwater patterns. At least two dozen are available for free without a subscription to the App! It’s winter in Montana. Get in there and tie some new stillwater flies! Regular Updates. When I spoke with Phil about his plans for the App, he mentioned that their goal was to add 4 or 5 new videos to the App each month. And, last month they did just that! Compare that to your average print mag subscription, factor in how rarely print mags cover detailed stillwater topics, and the $3.99/month (or less if you sign up for a season or a full year) subscription suddenly seems like a bargain. Offline Capability. Once you have downloaded video content to your smartphone, the App no longer needs any Wi-Fi or other wireless cell coverage for you to watch the videos. So, you can download all the videos you’d like at your house on a fast Wi-Fi signal and then get on the bus to work, or on the airplane to West Yellowstone or Jurassic Lake, and you’ll be ready with something to do. You can even download all the videos about fishing Callibaetis and then watch them in the boat while you wait for the hatch to start out on Hebgen Lake without dealing with spotty 3G coverage that will gobble up your data allowance. Broad Topic Organization With No Search Function. You have to organize things somehow. The format of the App, while very clean and based on relatively short, individual video tips sorted into the categories/chapters listed above, may not be the ideal format for covering a complex, detailed topic in an orderly, step-by-step manner. Of course, this is an opinion based on how my own brain organizes things. For example, if you are interested specifically in learning about the ins and outs of, say, Chironomid fishing, you will need to skip around within the App chapters and watch three Entomology videos, multiple Leader & Knot rigging videos, and two or three Technique & Tactics videos, before diving down the rabbit hole of fly pattern selection and tying tutorials. Perhaps in the future, the App could be updated to include a search function so that a user could search for, say, “chironomids”, and then be presented with a list of all the relevant videos from among the five organizational chapters. Quirky Updating. I’m running a Samsung Galaxy S9 and the Android version of the App. That said, last time Phil and Brian announced a new set of video uploads, I had a hard time finding them on the App. I ended up uninstalling the App and reinstalling it, and the problem was solved. No biggie, but I’m glad that I follow the guys on social media for the announcements for new updates. I actually reached out to Phil and Brian about these CONs after writing this. They were very receptive and responsive to a little bit of constructive criticism and it sounds like they will be looking into some improvements that will enhance searching and trouble shooting in the very near future. In the end, I think that’s a very good sign to see that they are interested in and committed to not only adding new content but improving the functionality of the App over time. As far as I’m concerned, I think I’ll be renewing my subscription when it comes up later in January. There’s still a lot more winter left! This post includes no fishing tips, fantastic stories, or casting secrets, but the topic, should you choose to participate, may greatly influence your angling and the angling of many others for the better. This post is a call to encourage everyone out there to get involved and participate in the regulatory or political element of your local fisheries management. Consider making “GET INVOLVED” one of your new angling mantras. In Montana, and other states in the US, our fish and wildlife management agencies are continually adjusting regulations in order to, ideally, best protect fish and wildlife populations while also providing opportunities for the public to fish and hunt. We have access to so much public land and water here in the western US. It’s fantastic, and hopefully we can keep it that way. We all care about our fisheries, but are we all doing enough to consider ourselves stewards of the resource? As members of the public, we are all co-owners of our public lands and waters. We have the right, and perhaps the duty, to be involved in the process and decisions which influence management of public land and water and the creatures which call those places home. Our level of involvement, and our choices we make in both election and non-election years, can have a huge impact on fishing, hunting, and other outdoor recreation in the future. Voting for representatives who reflect your own values is, of course, the first step, and should be relatively easy to accomplish for everyone here in the US. Getting involved in other management processes occurring in non-election times here in Montana is relatively easy as well, and I assume it is similar in other places. Our agencies all have protocols and processes in place which allow for public input and commentary on issues both simple and complex. As such, it is surprising to me how few sportsman are informed and actually get involved. Being involved starts with being aware. Keep an eye out for news of proposed regulation changes and public hearings. Watch the newspaper, social media, or other information sources. Get on agency email lists. Pay attention. The next part requires more effort. Do your homework. Research the issues. Formulate questions and opinions. Discuss the issues with your friends and angling companions. Then, you need to SHOW UP and participate. That may mean writing emails or letters to fish and game agencies or your government representatives at the local, state, or federal level. It may mean missing that big football game (round or oblong ball version) on TV so you can attend a public hearing. It may mean missing out on a day afield or on the water. It may mean making your friends and fishing buddies aware of the issues and encouraging them to get involved as well. Setting an example takes time and energy, but ultimately I believe it is worthwhile. Through involvement, you will meet plenty of good and interesting people with both similar and differing opinions to your own. It’s important to listen and try to understand all the views involved and all the user groups concerned with the issues. I think that through this involvement you will learn a lot about people as well as the process of local rule making. You might also make some great friends and contacts who invite you to enjoy some great angling that you never knew about. Most importantly, by getting involved, you will have your voice and opinions heard and included in the overall decision making process – something that is important, relevant, and ultimately very satisfying. Join us at the fly shop for an evening of fly tying, fish stories, and fun with custom fly tier and all around great guy, Matt Ebbers. You might not recognize the name, but if you spend much time on Instagram, you probably recognize his flies, tying and photography style, and @ebbsforce1 handle. Matt Ebbers is, among other things, a skillful custom fly tyer and fishy dude. We struck up a relationship with him a while back and are excited to have him at the shop for a fun evening of fly tying, hanging out, and more. Living outside of St. Paul, Minnesota, Matt considers the waters of the Driftless Region of Wisconsin and Minnesota his “Home Waters”. He also fishes out west a few times a year. Matt has been tying flies for 27 years, starting when he was 14. If you have some basic math skills, you also now know his age and can make guesses about whether he has much gray hair or not. Interestingly, he started tying flies before he started fly fishing. Matt is deservedly a Loon Outdoors ambassador, and a member of the pro staffs for Fly Fish Food and Firehole Outdoors. Several of his patterns are also being commercially tied and sold through Fulling Mill. 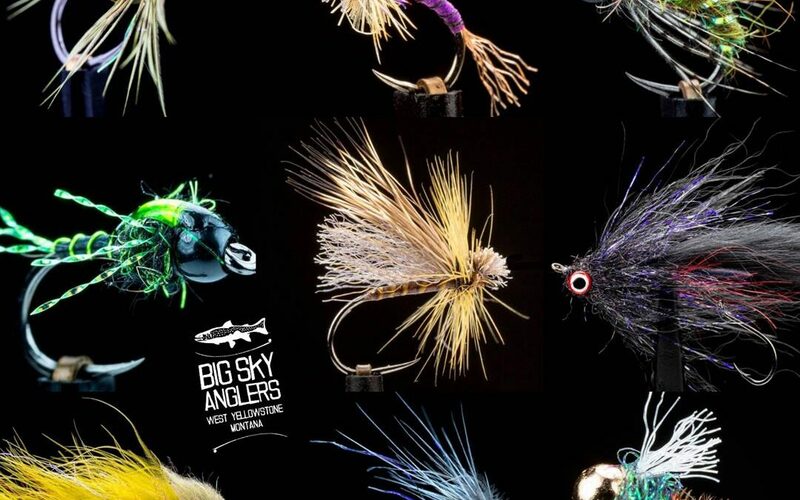 This is a great chance to pick his brain about some of the subtleties of fly tying like keeping a clean look while achieving great buggieness, using modern materials from the likes of Firehole Outdoors and Loon Outdoors in conjunction with classic materials from Whiting Farms and more. I know that we are interested in getting a few tips on fly photography as well. 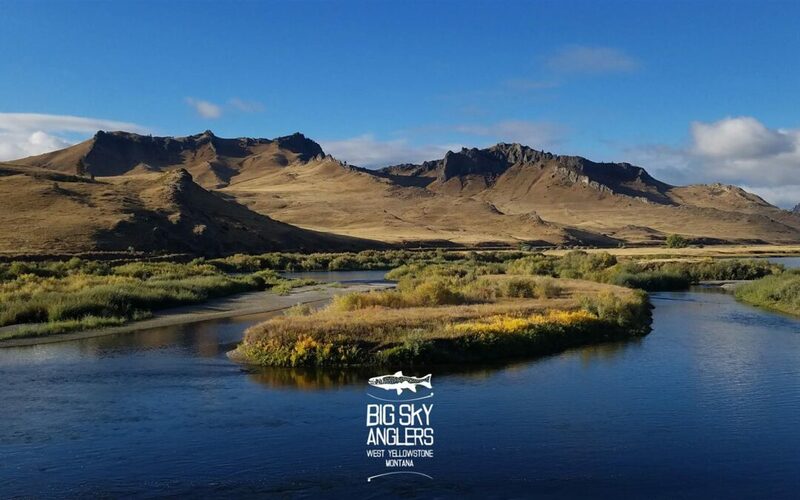 We are planning to run some or all of the event as a live stream on @bigskyanglers, so stay tuned for more on that, and give us and @ebbsforce1 a follow if you don’t already.